Hi, how can i make for Guests to be able to see the Topics List but not to read topics? 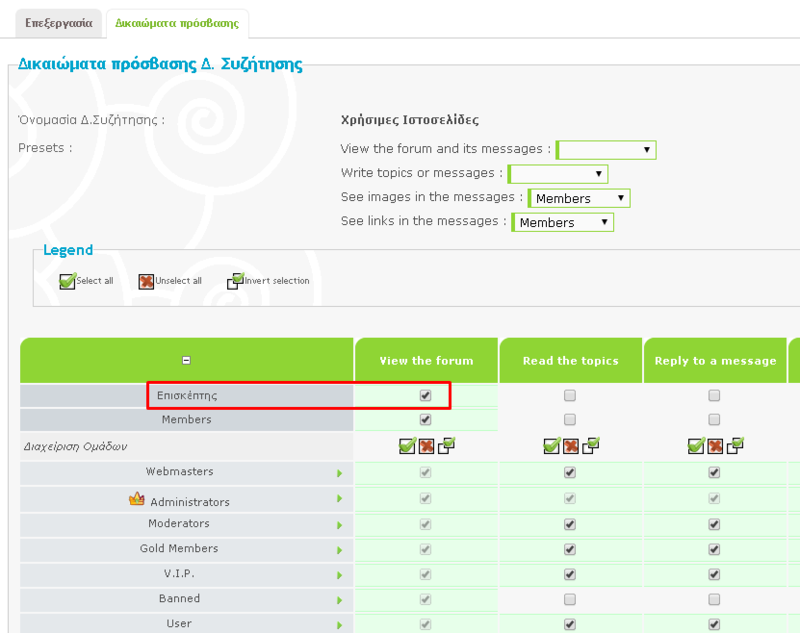 View forum will allow them to see the topic list. No SLGray, i have already tried this method, i have 'ticked' "view the forum" but visitors still cant see the topics list.. when i press to a category (as visitor) it transfers me to the login page..
Post a link to a forum that you have set this way on your forum. I believe there's no option for that. R u sure @Jophy ? Well have you tried checking the view forum for guests, and un-check for the 'Read the topics' permission? I tried finding solutions for this too, but I haven't seen an option that will allow this.